How you tell your story is more important. Where you tell your story is even more important than that. We know marketing to HR/TA buyers really well. We’ve worked with hundreds of products / solutions to help tell their story (and generate leads) along the way. Consumers want to experience brands. Marketers want consumers to love their brand. 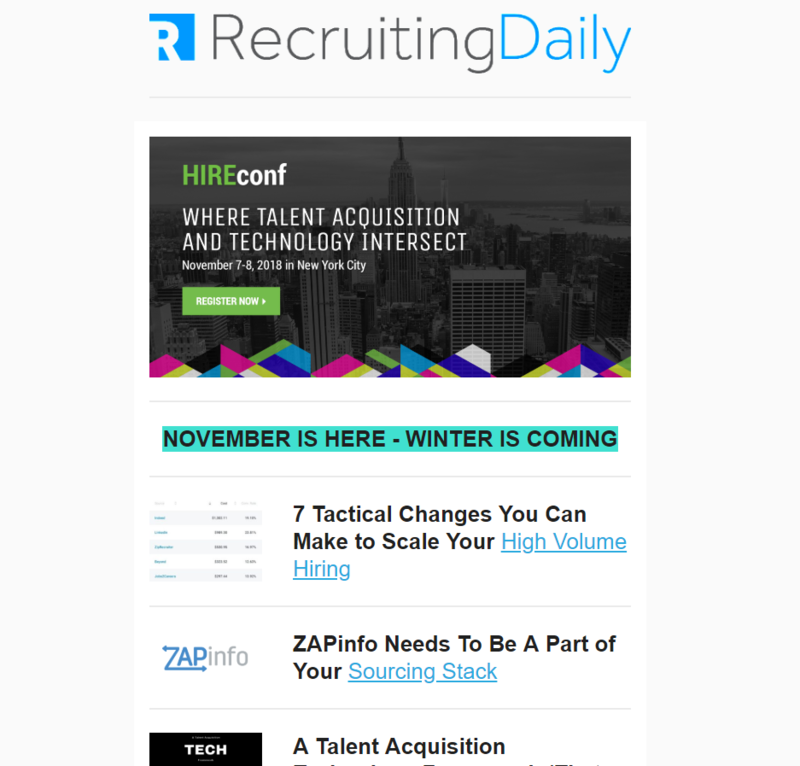 RecruitingDaily believes everybody getting what they want happens at the intersection of storytelling and technology. Marketing Automation programs are built to share your message to the portion of our audience most likely to take action based on their current activity such as what they are reading, webinars they’ve attended, links clicked and interest areas that we’ve track over their membership. A custom-built content funnel to drive awareness and lead generation. RecruitingDaily will work with your team to define key targets and assets. 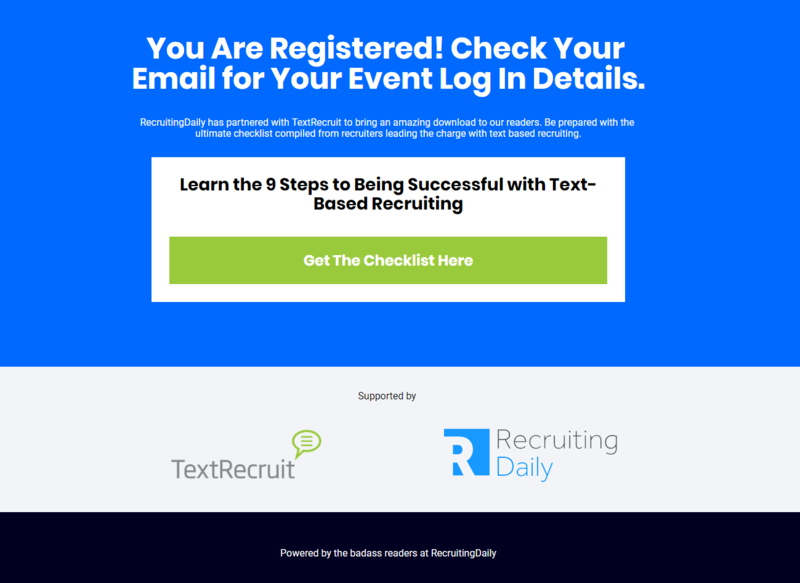 RecruitingDaily will market to our audience via content, social, newsletters, display, and email based on the reader’s interest and on-site activity. All leads will be shared real time to your database (if your database allows) so that you can move the contact into the proper sales channel. You don’t sell in an email. That’s crazy, we know, but it’s true. Staying in contact with vendors, customers, and potential customers is important, and we’re pretty sure that you’re aware there’s a lot that goes into high-converting emails. A custom 10-step nurture campaign written to engage your audience. This will include all images, content, and design. 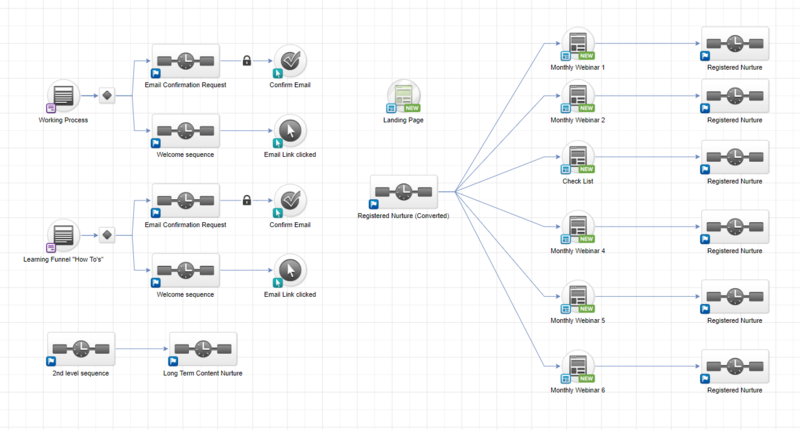 A campaign workflow in which we’d recommend how to use the nurture campaign based on our conversations. Take you best HTML, select your buying persona from our list, and share your message up to our audience. We are marketers, and we understand the value of frequency. You will have the opportunity to send a follow-up message to those who opened your email but did not take an action within 24 hours to reinforce your message or provide more incentive. Include your message, display ad, or video in our weekly RSS delivery to more than 35,000 engaged double opt-in members (limits to characters and message to preserve spacing). 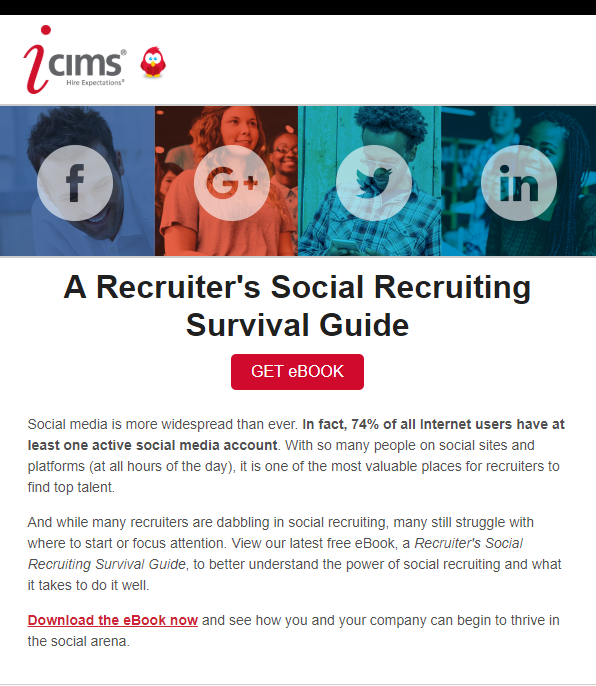 Our perennial top conversion opportunity within the RecruitingDaily ecosystem. In 2018, our Thank You Pages converted at over 70% visitor to download. We take your best offer and strategically place it in front of our readers when they are most likely to click or accept a secondary offer. Placements include webinars, RecruitingDaily content downloads, and most registration pages. Target our subscriber base by keywords, categories, topics, tags, browsing activities, or actions.